Guilherme Alves - Edmonton's Burial & Cremation Professionals | Trinity Funeral Home Ltd. 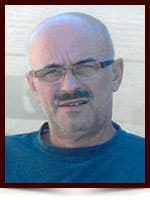 Surrounded by his loving family, Mr. Guilherme Alves of Edmonton passed away peacefully at the age of 59 years. Left to cherish his memory is his loving wife, Maria; four children: Elizabeth (Roger), Peter (Tracy), Sonia (Jamal) and Melissa (Prab); four grandchildren: Caitlin, Abigail, Aria and Mateen; his siblings: Max (Lucia), Fatima, Fernando (Conceicao), Jose Maria (Natalia), Ana (Jose Francisco), Duarte (Zulmira) and Maria dos Anjos (Joao) as well as numerous nieces, nephews and many dear friends. He was predeceased by his parents, Antonio and Gloria; his brother Joao and his sister Maria Jose. Our deepest condolences to your family. Our thoughts and prayers are with you at this difficult time. I would like to express my deepest sympathy for your loss. Thinking of you all at this very difficult time. I have fond memories of Guilherme. Our Deepest Sympathies to the whole Family. Our Prayers and thoughts are with you all at this time. May your loved one rest in peace in the arms of our creator! Hugs to you all! Celia Marques and Carlos Geraldes and Family! !